About 150 federal employees who responded to the government's call for temporary emergency workers during last year's hurricanes received more pay—in some cases tens of thousands of dollars more—than they were legally entitled to receive in a given year, according to a new watchdog report. The discovery led investigators to uncover payment problems that likely go back many years, potentially creating a situation where untold numbers of federal emergency responders could owe the government for overpayments they never knew they received. What's more, many emergency workers in 2017 may actually have been underpaid because FEMA incorrectly calculated overtime. In the case of employees who were overpaid in 2017, lawmakers took action earlier this year to retroactively exempt those individuals from the standard annual pay cap, meaning virtually none of them owe back payments to the Federal Emergency Management Agency. FEMA’s overpayments had exceeded more than $1 million. Congress’ exemptions only applied to 2017, however, and the Homeland Security Department’s inspector general has identified examples from previous years in which FEMA also paid employees more than they were legally allowed to earn. Those employees may still be on the hook for returning the overpayments to the government. The agency has already identified 13 employees from 2016 alone that may have to pay the government back. Federal employees are typically limited in the premium pay they can receive in a biweekly pay period. Employees' base pay and premium pay cannot exceed the pay of a General Schedule-15, step 10 employee in their locality. In some emergencies, as was the case during the 2017 hurricanes, agencies can waive the biweekly cap. The problem, however, is that the annual cap still applies, and there is no easy way for the employees to anticipate when they are in danger of exceeding the cap. FEMA managers falsely assumed that their payroll processor, the Agriculture Department’s National Finance Center, had a mechanism for preventing employees from breaching their annual caps. Agency managers still should have taken steps to ensure none of their employees were violating the pay limit, the IG said, but they had never received any guidance from FEMA’s human resources team on what those steps should be. 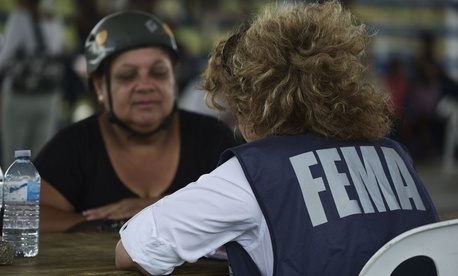 FEMA’s chief HR officer, who was recently forced to resign after an internal investigation verified claims that he repeatedly engaged in sexual misconduct, did not offer such guidance until the payment breaches came to light late last year. Even then, the guidance the agency issued was incomplete and, in some cases, inaccurate, the IG found. The agency subsequently worked with Congress to make an exemption for the hurricane responders, which lawmakers ultimately included in an appropriations bill President Trump signed into law earlier this year. Because of the lack of controls the IG identified, FEMA is currently in the process of analyzing potential overpayments dating back to 2012 (which the IG said was an arbitrary cutoff date). Auditors cautioned that FEMA must determine whether the work employees conducted while on temporary assignments qualified them for overtime under the Fair Labor Standards Act. Any such overtime should not count against an employee’s annual pay cap. That could be problematic, the IG said, as FEMA employees have never been instructed to maintain contemporaneous records of what work they conduct during an emergency and their assignments often shift each day. Some non-FEMA employees may also be affected. Thousands of federal employees last year volunteered to join a “surge force” to provide emergency relief. Those employees may have exceeded the pay cap without FEMA or the employees' home agencies ever knowing about it. The IG called on FEMA to rectify any potential issues in that category. Some employees, at FEMA or elsewhere, may actually be owed money thanks to Congress’ action. Emergency workers were told to stop logging hours once they hit their cap and FEMA became aware of the issue. Now that Congress has decided to waive the cap for 2017, FEMA must determine employees with overtime hours that were not submitted or recorded and make them whole. Going forward, the IG recommended that FEMA consider not awarding premium pay above the biweekly cap until the end of the year. The auditors also said the agency should establish “approving officials” to sign off on all premium payments exceeding statutory caps. FEMA agreed to implement all of the IG’s suggestions.